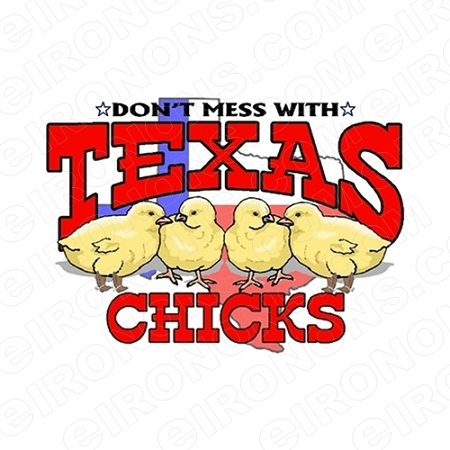 THIS DON'T MESS WITH TEXAS CHICKS T-SHIRT IRON-ON TRANSFER DECAL #TX1 MAKES A PERFECT IRON-ON TRANSFER DECAL FOR ALL TEXAS FANS, BIRTHDAY PARTIES, HALLOWEEN PARTIES OR ANY OTHER SPECIAL OCCASION. 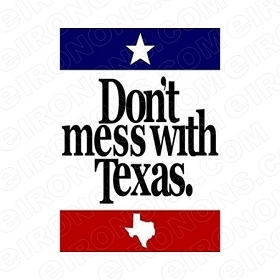 CAN BE APPLIED ON CLOTHING, T-SHIRTS, SWEATSHIRTS, TOTE BAGS, BACKPACKS AND MORE. LOOKS SOOOO CUTE ON MY SHIRT!